Adventure Time has been a little on the dark side this year, but that’s to be expected as the beloved series heads into its sixth season and handles its hero’s adolescent growing pains. Thankfully, as the show matures, it also needs to get flip to modern communication (for work purposes, of course). 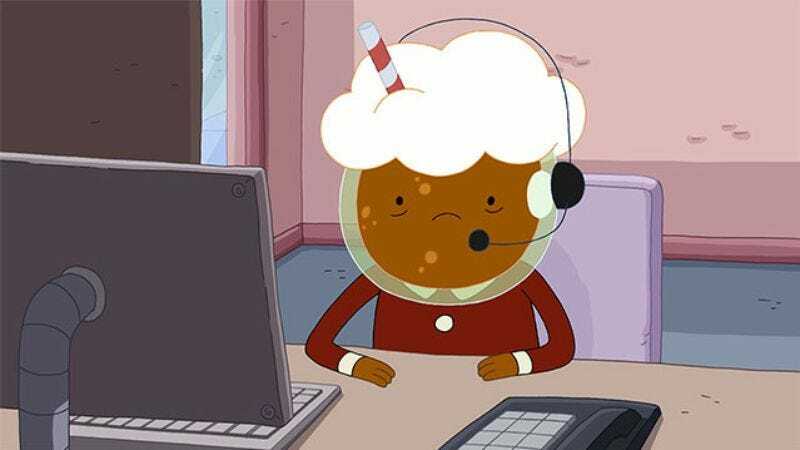 Now, fans of the mathematical and protectors of fries can math up their online correspondence by acquiring their very own Adventure Time email address. The service lets users pick between an alias hosted by the equally algebraic finnandjake.com, itsbmotime.com, and baconpancakesmakingbaconpancakes.com for a mere $15 a year. For those curious but unwilling to cough up the fee, here is a sadly empty Adventure Time webmail inbox. Send it Lumpy Space Princess GIFs.